As smartphones have been shifting towards removing the headphone jack altogether, there’s been a rise in truly wireless earbuds such as the Samsung Galaxy Buds and Apple AirPods. For those who want something in-between truly wireless earbuds and a pair of headphones, products like Samsung’s AKG N200 wireless earbuds fit the bill. The Samsung AKG N200 have a premium look and feel with metal accents and a fabric braided cable that connects the buds. The length of the cable can easily be adjusted and the actual buds have magnets in them which help to keep them tangle free. Along the cable is the inline remote that has a microphone and three buttons, one for play/pause/power, volume up and volume down. 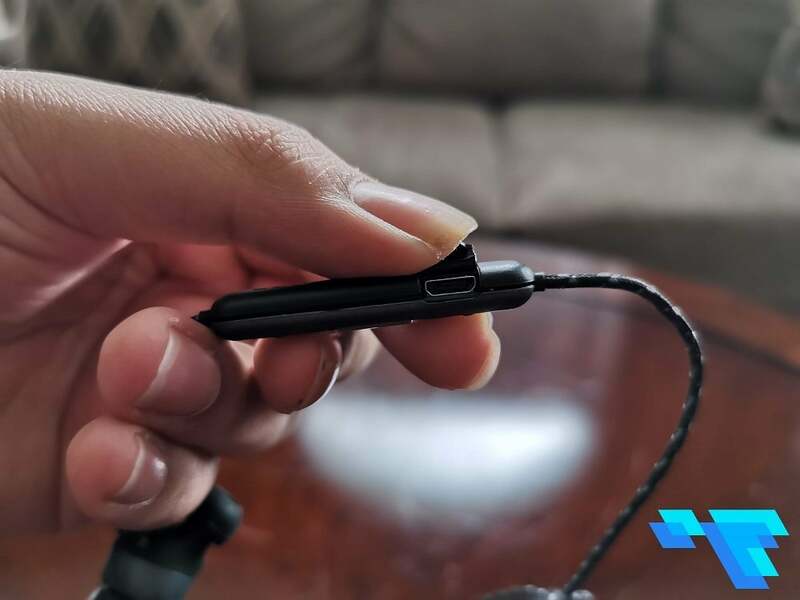 The remote houses the 110mAh battery and also has a microUSB port which can give you an extra hour of listening time in just 10 minutes of charging. The Samsung AKG N200 earbuds come with a carrying case, cleaning tool, MicroUSB cable and 4 sets of ear tips. You can expect about 8 hours of talk and play time with the Samsung AKG N200. The earbuds are fairly lightweight and fit easily in my ears (for the most part). The AKG N200 comes with four ear tips, which for clarity I’ll define as small, medium, large and extra large. By default, the AKG N200 have the large ear tips fitted which should fit most people’s ears. When I first put the earbuds in, the default (large) ear tips did fit my ears, but I did find them falling out after just a few minutes. I then switched to the medium ear tips and those fit just as well and fell out less often. On each of the earbuds, there is a built-in ‘wing’ that is supposed to help keep them in your ears however in reality they didn’t work very well, even after changing the ear tips. The Samsung AKG N200 is available now for $199 CAD from Samsung’s website. They come in multiple colours: Black, Blue and Green. 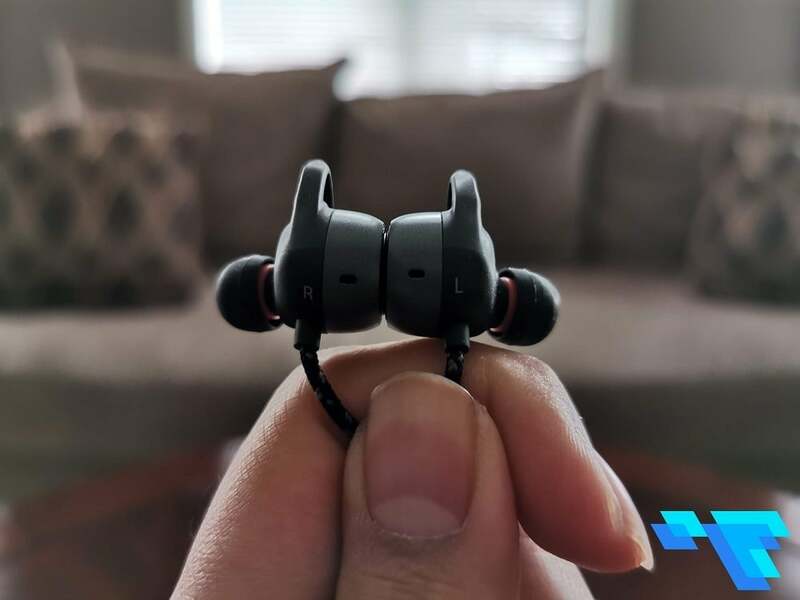 At that price, it’s the same as Samsung’s truly wireless earbuds, the Galaxy Buds which have just debuted. The Samsung AKG N200 has been tuned by AKG by Harman which have been designed to deliver high-fidelity studio quality sound. However, the Samsung AKG N200 earbuds aren’t up to par with the likes of wireless noise cancelling headphones. They’re a good middle ground between earbuds you might find for under $100 and a pair of Sony WH-1000XM3 or Bose QuietComfort 35 II headphones, especially considering the price of the AKG N200. 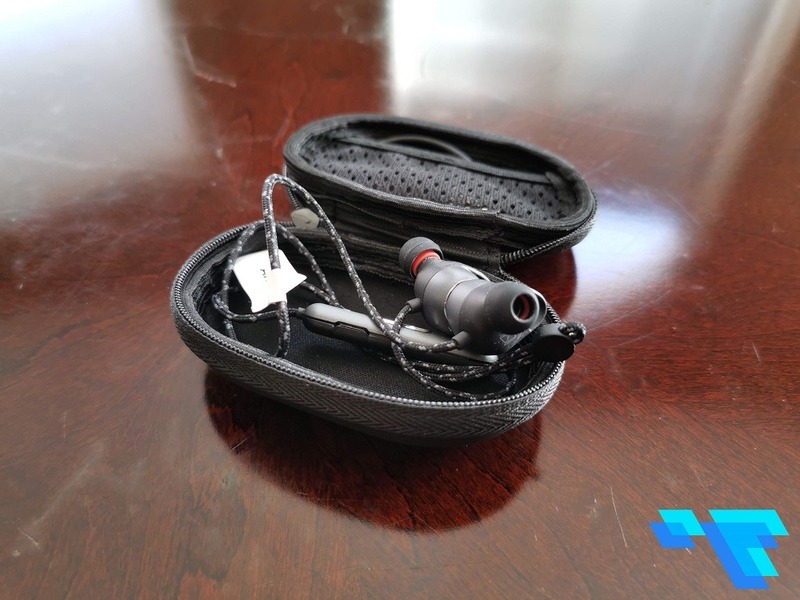 The earbuds actually sound great but they’re not super bass-heavy – they sound similar to the Soundcore Space NC headphones, which I reviewed a few weeks ago. The earbuds also come with AptX and AAC technology which only a few phones currently support. 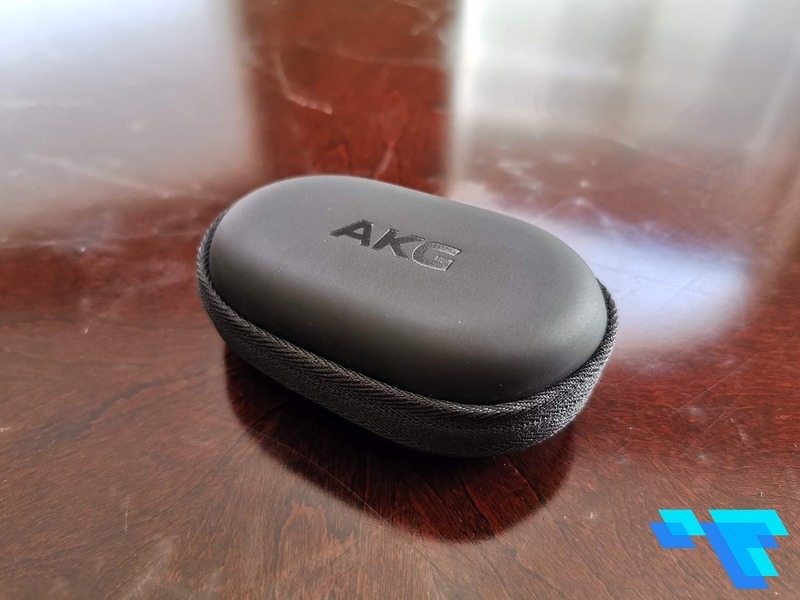 Luckily, I had the Huawei P30 Pro and HTC U12+ on hand to test the AKG N200 with, which both support the AptX technology. As a quick sidebar, AptX technology is Qualcomm’s innovation to enhance wireless audio and make it sound more ‘uncompressed’. It’s as if you’re listening to a CD instead of listening to streaming audio (which is usually compressed to save data). You can learn more about Qualcomm’s AptX technology here. 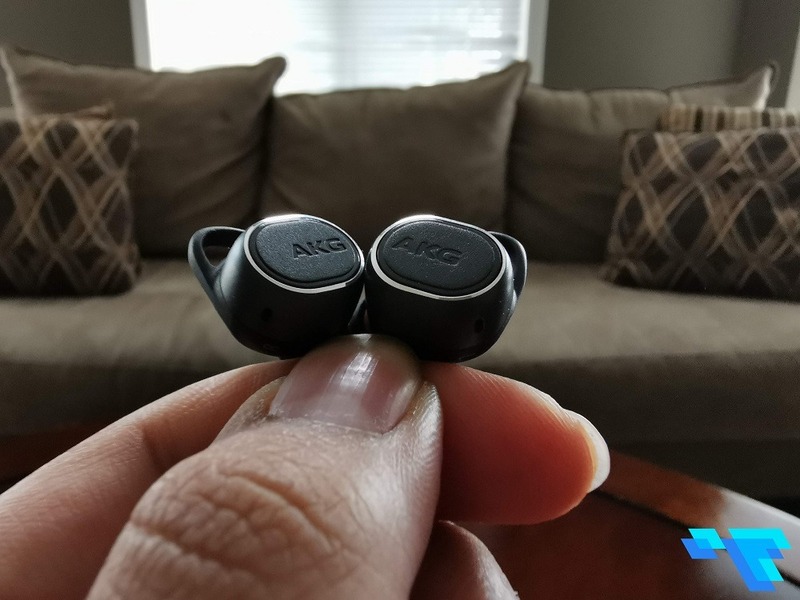 Overall, the Samsung AKG N200 is a great set of wireless earbuds but keep in mind that they cost the same as truly wireless earbuds, like Samsung’s own Galaxy Buds.